Here’s quick guide to factory reset or master reset galaxy S9 and galaxy S9 plus Oreo devices. This performs factory reset data will fix all your Smartphone issues if not any other solution worked. All devices facing issue of phone won’t turn on or touch screen not working or black screen or low call volume and more. 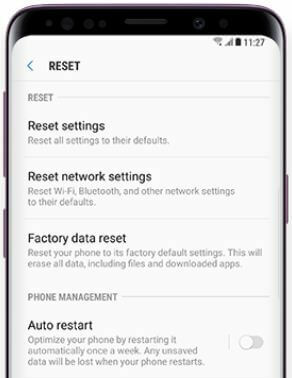 You can factory data reset on galaxy S9 & S9 plus under General management settings. This master reset galaxy S9 and galaxy S9 plus will reset all your galaxy S9 factory default settings. Also erase all data including downloaded apps, Google & Samsung account, photos, music, files and more. Before factory reset your Samsung S9 and S9 plus, back up your important data to SD card using smart switch or connect your phone with PC using USB cable and transfer data. Here you can view reset settings, reset network settings and factory data reset settings. You can see your account and app details that log in with your account. Enter PIN number or pattern lock or other lock screen security if set. Now all your phone data removed. You can’t be recovered. Only data that has been backedup to the SD card can restore in your galaxy S9 and galaxy S9 plus using smart switch feature. If above given method can’t fix your device issue, wipe cache partition on Samsung S9 and S9 plus. And that’s it. We hope this article helpful to master reset Galaxy S9 and Galaxy S9 plus Oreo. 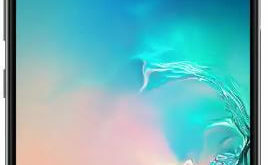 If you have any kind of question, tell us in below comment box. Do you have any other tricks? Share with us in below comment box.